Real Estate Sales on the rise for the Vail Valley! May was the best month for real estate transactions in the Vail Valley since 2008. According to Land Title Guarantee Company, there were 150 transactions in May, which is the most transactions since 2008. Those sales added up to more than $154 million in sales volume. Both transactions and dollar amount were 8% ahead of May of last year and the average sales price in the county was a little over $1 million dollars. Gypsum lead the way with 22 completed transactions. A total of 29 transactions accounted for Vail's neighborhoods added together. The bulk of the transactions were under $500,000 but accounted for only 16% of the sales volume. Homes priced at $2 million or more made up over half the sales volume. There were 10 sales of over $4 million and the highest sale was in Vail Village for $10.25 million. Read more about Real Estate Sales on the rise for the Vail Valley! The real estate market is finally showing signs of steady, persistent improvement as both properties sold and dollar volume are up so far for 2012. In April, real estate sales in Eagle County were the best so far this year and the best in sales volume since November. There were 135 closed transactions, which accounted for $124.4 million sales volume. These numbers significantly exceed those reached in April 2011. 75% of the sales were made up of properties priced at $1 million or less and the most expensive single sale was $9.35 million (in Vail Village). Eagle and Gypsum accounted for 32 of the sales in April with the average sales price of the two towns was $212,000. The sales combined for a dollar volume under $7 million. Vail Village accounted for $38 million of April sales volume with an average sales price just over $3.5 million. The valley's resorts combined (Vail Village, Lionshead, Beaver Creek, Bachelor Gulch and Arrowhead) reached 33 sales. This ranch affords blissful tranquility from amid 35.5 acres and boasts sweeping views of dramatic Colorado vistas and radiant colorful mesas. Spectacular and rare, this land is located within a gated community alongside the stunning Eagle River that is teeming with Rainbow Trout. With more than 850 feet of river frontage, this magnificent setting is a chance in a lifetime to own. Zoned resource for a single-family residence and detached caretakers, this property is primed for the ultimate Colorado ranch and river estate. Reduced An Additional $10,000 in Gypsum! This spacious three bedroom plus bonus room, 2 3/4 bath townhome feels like a single family home.? Featuring vaulted ceilings, a gas fireplace and a private master suite.? A deck with a fenced back yard and an oversized two car garage offers wonderful storage and extra space.? Located in Gypsum for only $323,900.? Please call Betsy Randall for a tour at (970) 401-3011. Read more about Reduced An Additional $10,000 in Gypsum! New Listings, New Deals in Vail Valley Real Estate! Read more about New Listings, New Deals in Vail Valley Real Estate! $20,000 price reduction in Gypsum, Colorado!! This is the perfect home for the first time buyer or investor. ?With the $20,000 price reduction, this is an incredible value at $189 per square foot. ?This townhome feels like a single family home with 3 spacious bedrooms plus a bonus room, vaulted ceilings?in the living room, dining and kitchen area. This townhome?has a fenced yard with deck and an oversized two car garage, offering plenty of storage.? Located in?a great neighborhood, in a great town?with close proxmity to biking, hiking, and fishing and rafting?on?the Eagle River.? 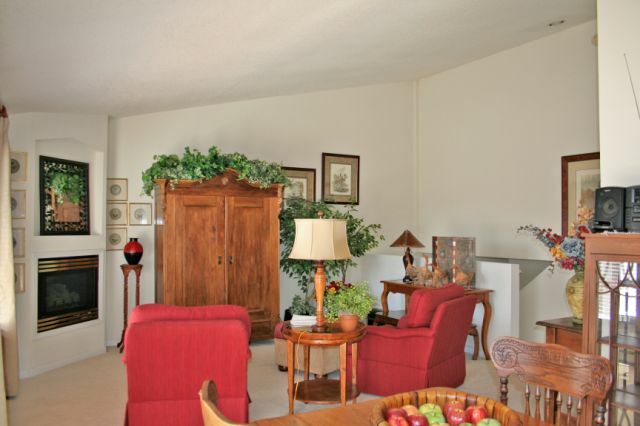 This 1,905 square foot townhome is a great buy for $359,900.? Please call Betsy Randall at (970) 401-3011 for a tour. Read more about $20,000 price reduction in Gypsum, Colorado!! Read more about New listing in Gypsum! Where Are The Locals Living? The Vail Valley is an amazing place to live.? Just ask anyone that has chosen to call this beautiful place home, forsaking their hometowns for powder days.? But the ironic trend here in the valley is that locals are moving west, forsaking ski days for a garage, a backyard, and a bit more square footage. The red hot real estate market here in Vail is driven by both the second homeowners and the local population.? Eagle and Gypsum had the largest market share of sales in 2006, as long-term locals and new arrivals flock to the neighborhoods of Eagle Ranch, the Bluffs,?Chatfield Corners, and Sky Legend to name a few. East Vail and Eagle-Vail remain as?two of the true upvalley neighborhoods, comprised of mountain loving locals who prefer the views and close proximity to skiing to a little more space around the house. Read more about Where Are The Locals Living?